Isleworth Boardgamers: Nobody puts Phil Eklund in a box! Those of us who weren't being exhilerated by Sevilla's magnificent performance in the European Kickball Cup settled down to a fine nights gaming, no less tense and with equally disappointing second-half collapses in form. Paul D said something interesting at the end of our game of Pax Po, in that he thought it was a lot like a Euro game, something which took me back a bit. Thinking about it now, I'm not too sure where the parallels are, other than the large amount of beige ink in use. As an example, during the game Paul bought some ranch land in Chihuaha. In a typical Euro he would have taken the Ranch Action, precluding the rest of us from doing the same, or taking the best land available and leaving us with a choice of increasingly poor stony ground, where even the Cacti struggle to grow, as penance for being de-prioritised in player order. We might then have taken other things that blocked Paul in similar fashion, our revenge for him swagging the best turf, or tried to devalue the strategic ‘value’ of ranches within the game in order to peg him back. It's the gaming equivalent of sticking two fingers up from a safe distance, and pretty far from the more direct interaction in Pax Po. Following an interesting discussion on our BGG guild forum about labelling games to a type, wherein we pretty much agreed that this particular game defies attempts at classification, I believe that one of the key tenets of Ameritrash is that the gameplay experience is front and centre. In that respect I'd say Pax Po is leaning more in that direction as the Euro-centric mechanics of the game itself are a fairly uninspiring exercise in building and maintaining a simple card tableau. 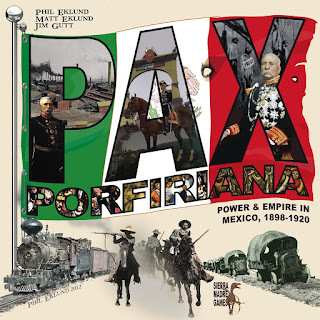 All of the experience rests in the interaction between the players; I can write essays about my games of Pax Po, even remembering things that happened in games from years ago, but I couldn't ever easily explain how somebody put a cube here or there or paid some money tokens when taking an action. It just doesn't feel like a mechanical experience at any point. But whatever, it doesn't need a label, I'm just glad that Paul was able to appreciate and enjoy this awesome game. The game in review started with some bruising antagonism across the table, mostly between the two Pauls – Dawsey was setting up enterprises in Sonora, with me piggy-backing through a mix of extortion and upgraded railway connections due to a lack of direct income opportunities coming my way. Agapow decided to give his intensive mining within the Gadsden Purchase (an area of land now forming parts of Arizona and New Mexico) a boon by funding a full scale revolution in Sonora, which promptly declared independence and disappeared from Dawsey’s tableau as a result. Later in the game, Dawsey paid for an expensive assassination of the Sonoran leader in order to destabilise the breakaway republic and to bring it back into the Mexican fold. Not content with murdering Sonoran rebels, Dawsey also took some time to give me some special attention in trashing my one working enterprise with a stack of unrest tokens and sending me to prison twice during the game. Agapow also gave me a black eye by killing off two of my business ventures, canny moves that kept him far ahead in the rich list with his largely invulnerable ranches and mines situated in US territory. Agapow made a strong move on Outrage and was very close to taking the game – as often happens though he fell foul of being either just one action or a bit of cash short of being able to close the deal. Meanwhile, I used the cover of our focus on stopping him to have some cosy time with Diaz, amassing loyalty points to get to the top of the class. With the ‘Pax’ topple disregarded in the exchange I was able to make an incisive push for victory, persuading Diaz that it was time to retire to a sunny cottage on the coast in order to make way for my own brand of lunatic dictatorship. First against the wall in the new regime would be a tough decision, but would likely be somebody named Paul. Also of note in Pax - I had a raft of revolution points, a regular Wolfie Smith, which meant that I came to power as Diaz's most loyal lickspittle who also happened to be the secret master of the revolutionary forces that were fighting against him. 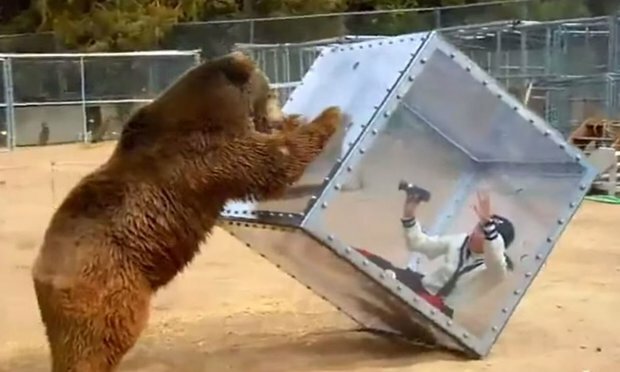 Bwah-ha-ha! 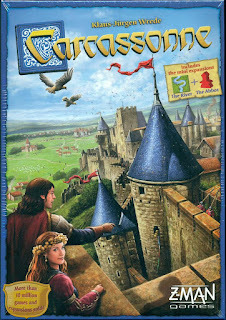 I love this game I also had a quick game of vanilla Carcassonne with John, boy it’s weird to play without Inns, Rivers, Cathedrals, and whatnot. No Mega Meeple either! John took an early lead while I sat in cities and roads that kept expanding seemingly forever. I was able to close off attempts to sneak in and so received windfall scores midgame when they eventually completed. John kind of got stuffed by pulling monasteries (or are they abbeys?) near the end that couldn’t be played for more than a couple of points each, and as I had already sown up and blocked off the only worthwhile meadow he had no option other than to take weak turns. My big meadow score put me out ahead by some margin in the final countup. I really get the feeling that the base game is heavy on the luck of the draw, so with two players it gets lopsided as there isn’t the level of chaos you get with more players. This is particularly pronounced at the fringes of the build area as it’s much harder to sneak in or to screw with completion without the claustrophobia of having the map close in around your opponent’s ventures. Castle is still the king of two player carc as it’s optimised for direct head-to-head conflict in an enclosed space, and I think that the regular game really needs some of the ‘vital’ expansions to bring it alive. Gareth, Sarah, Paul A, Philip and I started the evening with a game Drakon with the Drakon Expansion. 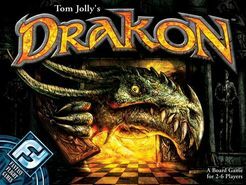 Players enter the lair of Drakon in hope of stealing the dragon's treasure. However the main objective seemed to be how much you can screw over the other players with the side objective of collecting gold coins. Philip and I split off in different directions early on whilst the other three were spending time rotating rooms or outright destroying them. This lead to a few headaches as we battled the ever changing dungeon. Phil managed to grab victory with 5 coins whilst Gareth and I were just behind with 4 coins. For a simple tile-laying game there is perhaps too much screwing people over or maybe it was just the way we played it. 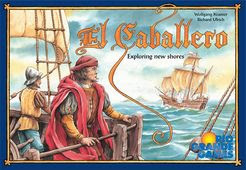 Alex, Raj, Philip and I followed that up with a game of El Caballero. An often overlooked game from the late 90s which is probably best described as Carcassonne meets El Grande or as James B likes to call it, Carcassonne with maths. Players explore the New World by drawing and placing tiles. They then claim either the land or sea with Caballeros or ships and then compete over these territories with the larger the territory the larger the score. This was particularly relevant during our game as we set about creating the largest possible single island that we then preceded to fight over for the seven game turns. It looks simple at first but there are a lot of complexities and we really pushed these in our game, placing land tiles and Caballeros tiles in a such a way that prevents other players from muscling in or blowing your Caballero tile off the board. Each turn players have the option of removing their Caballero tiles from the board which opens up previously locked areas and allows players to change the landscape, this allowed for some particularly interesting moves which Alex used to force me from the high scoring Island just before the first scoring round. After I was unceremoniously dumped out of the running from the main island I set my sights slightly lower just to regain some pride so I joined in with Raj by building ships on a large sea zone. Towards the end the control of the main island swung this way and that as we found new ways of removing or adding influence. When it came down to the crucial turn Raj had managed to add enough influence and in such a way that we couldn't force him out. The final scoring was Raj on 103, Alex on 50 something with myself on 33 and Philip on 31. The victory could have easily gone to either Alex or Phil had they just had one more turn.